Thinking about Buying a Mountain Bike this Dashain? With all the different types of bikes and gear on the market it can be confusing for new buyers. We hope we can give you some insight on what might be the best bike and set up for you. By definition, a Hard tail is a mountain bike with only a front fork suspension. These bikes vary in quality from basic city bikes to high end racing machines with a price range from 40,000nrs up to 500,000nrs. A full Suspension bike is a mountain bike with both front and rear suspension. This makes the bike smoother over rougher surfaces. But lower end full suspension bikes can be somewhat heavier than a hard tail. Full Suspension Bikes price varies from 130,000nrs to 700,000nrs. 100mm to 130mm- Cross country style riding. Fast climbing. Good for causal riding to racing XC. 180mm and Above – Downhill. Purposely built for downhill only, not possible to ride uphill. Suitable for bigger jumps, drops and rugged terrain. 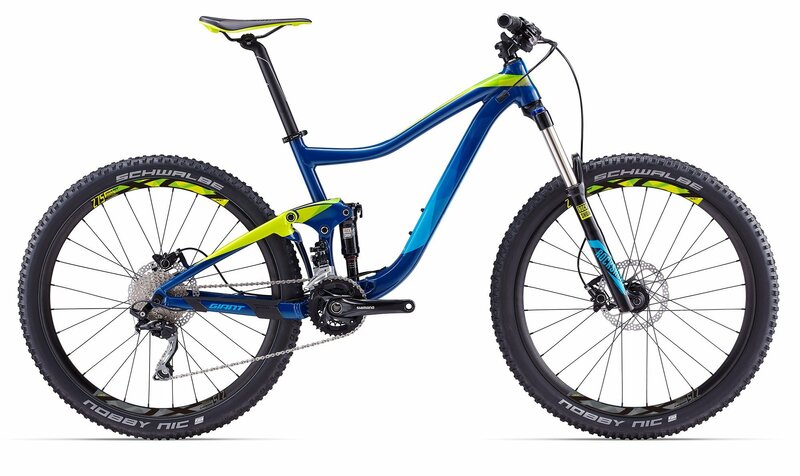 Generally speaking a full suspension bike will cost you more than a hard tail. 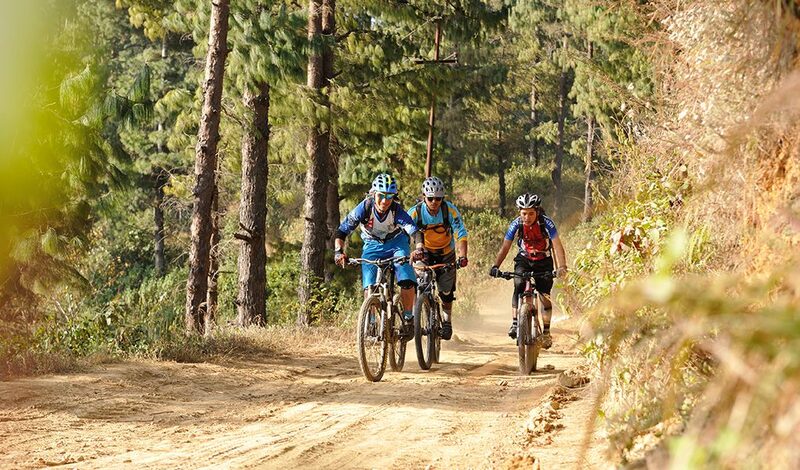 Mountain Bikes come in three wheel sizes – 26inch, 27.5 inch (Aslo called 650B) and 29 inch (29er). Now days, in Nepal most bikes have a 27.5 wheel size, but all three are avaiable. • Less forgiving while going over bumps, roots, rocks, ect…. • Small wheels require added suspension to soak up terrain. This can lead to decreased efficiency in the suspension by adding pedal bob to the bike. • Slower top speed when compared to 29ers, even though they’re faster than 26″ bikes. This is the part of the bike that makes it move, gear shifters, chain, cassette, crank, derailleurs. These parts come in many different qualities which effect the price and performance of the bike. Obviously the more expensive it is the better it works and the lighter it will be. 1 x 12 – The latest technology normally found on high end bikes. When it comes to gears/speeds, is more better? Generally speaking one would think 30 gears would be more efficient than 20 or 11. But now days, cogs or cassettes come in varying teeth sizes which means you can can the same range of gear levels and climbing abilities on a 1 x 11 bike as you could on a 3 x 10 bike. What happens is the weight of the bike is reduced, the maintenance becomes easier as you have less moving parts and you will have a smoother shifting performance. What you do sacrifices is the bigger gear rings that give you higher flat speed as you would need on a road bike. While 1 x 11 or 1 x 12 is the ultimate choice for a mountain bike, those gear sets generally come on more expensive higher range bikes. 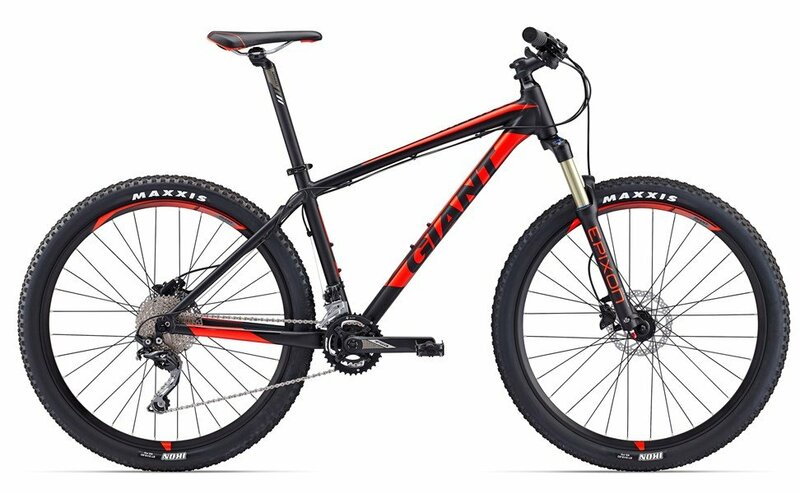 If you are looking for entry level, look for something like 2 x 10 rather than 3 x 9 or 8 speed bikes. Overall, when you go into a bike shop you should have an idea of the kind of riding you want to do, be it city ride, causal weekend romps into the country side, racing or full on downhill and have an idea of the budget you want to spend. As a general rule you should buy the best quality bike you can afford as in the long run it will cost you less to maintain and it will perform better. Another reliable resource that must be followed. Thanks for sharing this post, it really helped all the mountain bike sports fanatics out there in choosing the right one for them.Keep sharing!